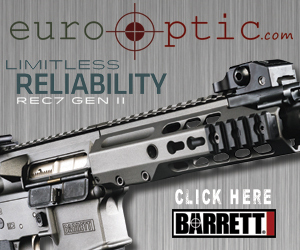 Blitzkrieg Components, LLC has just released several new options for their series of AR style front sight posts. First is a new bright orange color option that is now available in addition to the black, white and luminescent green options previously available. The new orange stripes are now available on their patented AR Chevron sight post and AR Tritium Chevron sight post, as well as their Spike shaped sight post for the Magpul® MBUS PRO® sights. White stripe options have also been added to their line-up for the AR Tritium Chevron sight post and the Magpul® MBUS PRO® Spike sight post. The luminescent green color remains the only luminescent (glow) paint option. More white and orange models have been added based on customer demand. The popular AR Tritium Chevron is now available with white, orange, and luminescent green paint options. All of the Blitzkrieg Components AR style sight posts are compatible with any front sight that accepts a standard front sight post. Installation is a simple drop-in process and models are available with a custom stainless steel sight tool if desired. The models for the Magpul® MBUS PRO® install in seconds with no tools and provide some great new options for those popular sights. All of the Blitzkrieg Components sight posts are machined from stainless steel with a tough black nitride finish. The contrasting paint stripes are applied into a machined groove using the most durable compounds for long service life. For more information visit their website at www.blitzkriegcomponents.com. Thordsen Customs has just announced their new Keyed Buffer Tube Hard Mount Kit that raises the evolution of the AR/AK Pistol Cheek Rests to the next level by providing a stronger connection to the pistol, sleeker lines and 1.5 ounces of weight added to the rear of the pistol for increased balance in the absence of a traditional stock. The Keyed Buffer Tube Hard Mount Kit utilizes a steel bracket, anti-rotation bridge and steel fasteners to connect a CAA or MFT saddle directly to the Throdsen Customs Keyed Buffer Tube, which coincidentally is the only Buffer Tube this will work with.